If you like chocolate-covered pretzels, you’ll love them in cookie form. If you like chocolate-covered pretzels, you’ll love them in cookie form. 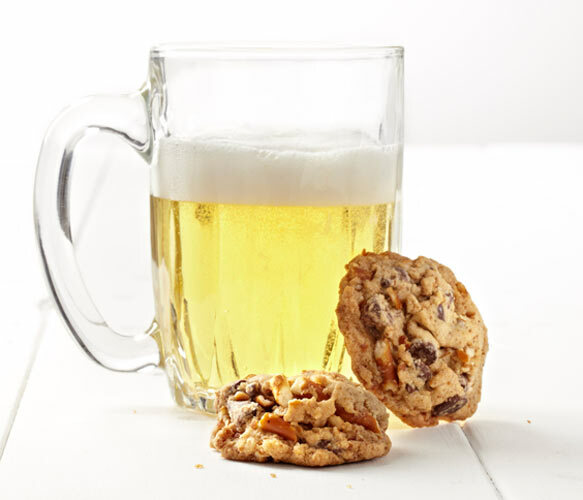 The recipe below infuses salty pretzel goodness into basic chocolate chip cookies, using both chopped pretzels and pretzel “flour” (made by grinding pretzels). The cookie batter also gets a hit of malted milk powder to play up the sweet, malty flavor pretzels naturally have. Trust us, this pretzel cookie recipe from Chocolate Chip Cookies: Dozens of Recipes for Reinterpreted Favorites is insanely addictive. Bake a batch and see for yourself. Preheat the oven to 325°F/165°C/gas mark 3. Adjust the racks so they divide the oven into thirds. Line two baking sheets with parchment paper. Whisk together the flour, malted milk powder, baking soda, and salt in a medium bowl. In a food processor, grind 1¾ cups/85 g of the pretzels to a fine powder. Add it to the flour mixture and whisk to combine. Either by hand or in the food processor, chop the remaining 2 cups/100 g pretzels into small pieces (about ½ in/12 mm). In a stand mixer fitted with the paddle attachment, cream the butter and both sugars on medium speed until smooth and well blended, about 1 minute. Add the egg and mix until completely combined. Scrape the sides of the bowl with a spatula. Add the flour mixture and mix on low speed until just combined, scraping the bowl if necessary to incorporate the dry ingredients. Add the chocolate chips and pretzel pieces and mix on low speed until evenly distributed. The dough should be smooth, dense, and somewhat pliable. Using a small ice-cream scoop or tablespoon measure, drop well-rounded balls of dough onto the prepared baking sheets about 2 in/5 cm apart. Bake for 9 to 11 minutes, rotating the baking sheets halfway through the baking time, just until the edges turn golden. When cool enough to handle, transfer to wire racks to cool completely. Stored in an airtight container at room temperature, the cookies will keep for 2 to 3 days. 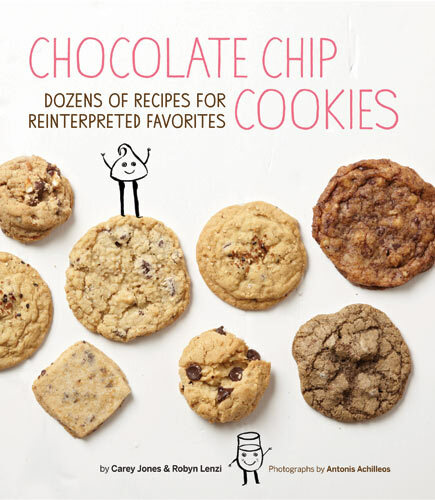 The Chocolate Chip Cookies cookbook features 40+ cookie recipes.